Athens, Apr 12: A 32-year-old woman in Greece has given birth to a baby produced from three people, creating medical history. The baby boy weighing 2.9 kg was born on Tuesday. 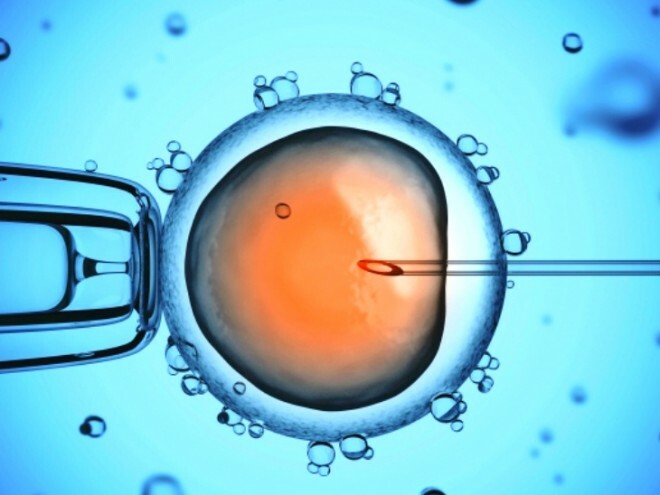 The experimental form of IVF uses an egg from mother, sperm from father and another egg from a donor woman. Dr Panagiotis Psathas, president of the Institute of Life in Athens, said: "A woman's inalienable right to become a mother with her own genetic material became a reality. We are very proud to announce an international innovation in assisted reproduction, and we are now in a position to make it possible for women with multiple IVF failures or rare mitochondrial genetic diseases to have a healthy child." The Greek team was working with Spanish centre Embryotools, which announced that 24 other women are taking part in trial and eight embryos are ready to be implanted. The doctors say they are ‘making medical history.’ But some experts in the UK say the procedure raises ethical questions and should not have taken place. The experimental form was developed to help families affected by deadly mitochondrial diseases which are passed down from mother to baby. But there is also speculation mitochondria may have a role in a successful pregnancy too. The Greek woman who had endured four unsuccessful cycles of IVF is now a mother, but her son has a tiny amount of his genetic makeup from the donor woman as mitochondria have their own DNA. # 1, 24 women are taking part in the trial and eight embryos are ready to be implanted. # The doctors say they are ‘making medical history’ which could help infertile couples. # But some experts in the UK say the procedure raises ethical questions and should not have taken place.